We are so thrilled to announce that we have officially begun work on our property! Earthworx, LLC started the work on our property shortly after the city of Gainesville gave us the final approval. 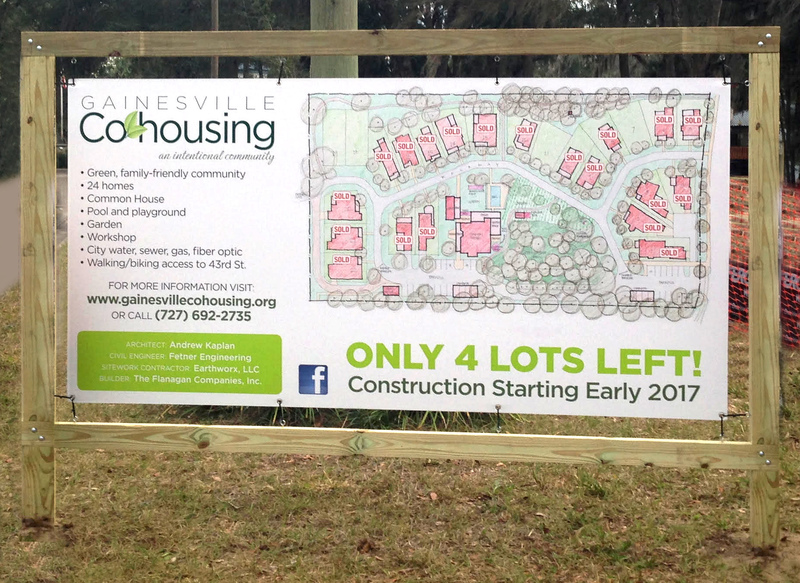 On Saturday, January 21st, the community gathered on the property to unveil our Gainesville Cohousing construction sign. Our official ground breaking ceremony will be on Friday, February 3rd at 1:30pm. The Mayor of Gainesville, Lauren Poe, will be an honored guest and speaker. If you are able, come out and join us for our short ceremony and celebration. We still have 4 lots left and we are looking for young families to fill them! 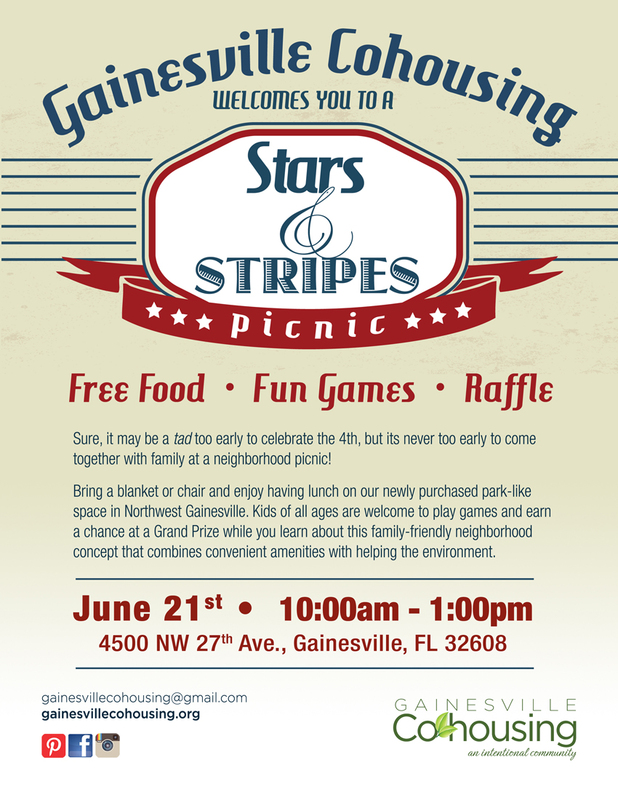 Stars And Stripes Event — This Saturday June 21st! Next story We are building! 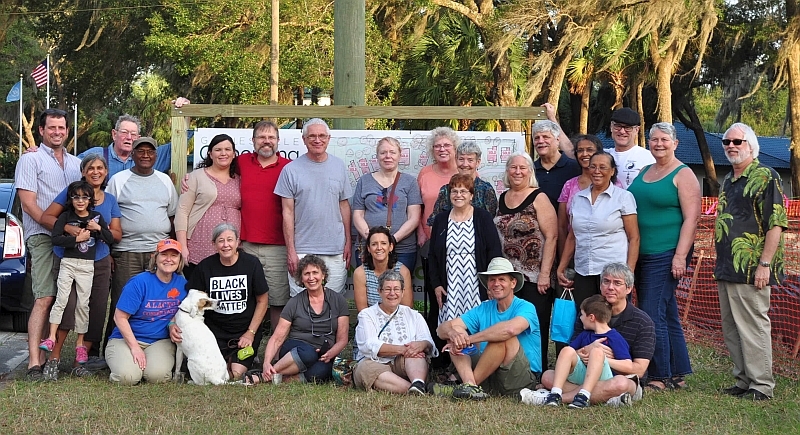 Previous story Happy 5th Birthday, Gainesville Cohousing!